Save Our Soles® blend of INVISTA fibers. 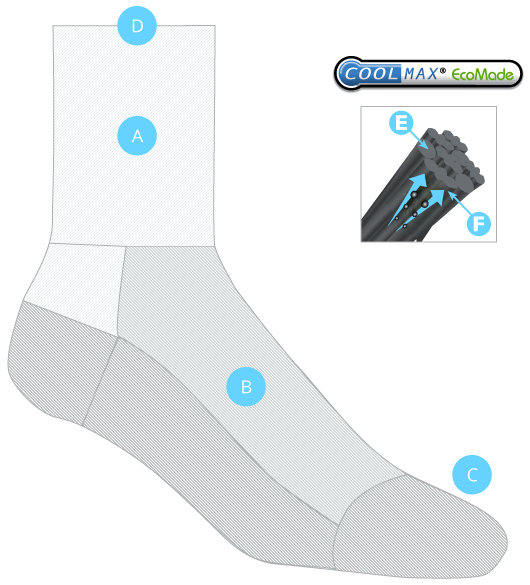 The “Eco” is COOLMAX® EcoMade fabric made from 100% recycled plas- tic. All the benefits of COOLMAX® fabric just now better for the environment and your playground. We blend Eco fiber with Cordura® nylon to give that added durability that only Cordura® can offer. The unique 70/30 blend provides improved moisture movement and sustainability than the standard COOLMAX® XtraLife fabric. While other companies offer the benefits of COOLMAX® XtraLife fabric, only Save Our Soles® is taking it a step further to help our planet. 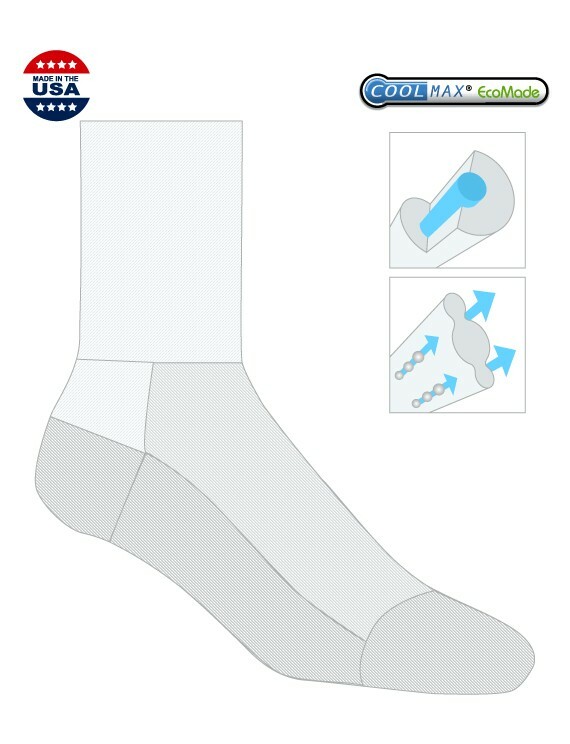 Has all the attributes of the regular COOLMAX® fabric, with the added benefit of being a 100% recycled product. Filaments are cut into short staples providing three times more durability than COOLMAX® fabric.